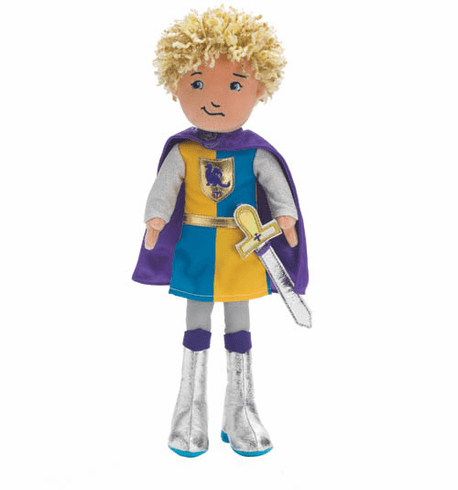 Knight Keanan is the prince charming of the Groovy Girls collection. He's ready to go out on adventures and explore the world. Keanan comes with a dashing silver, blue and yellow armor, a purple cape silver sword that can be worn in his belt or held in his hand. His cape is removable too!